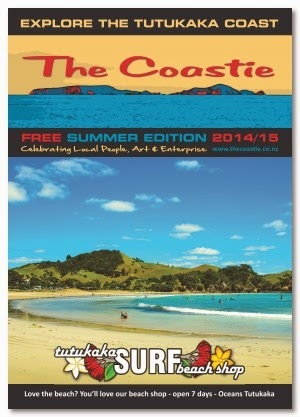 The Coastie - Tutukaka Coast Magazine: The Coastie Summer Edition 2014/15 - out now! 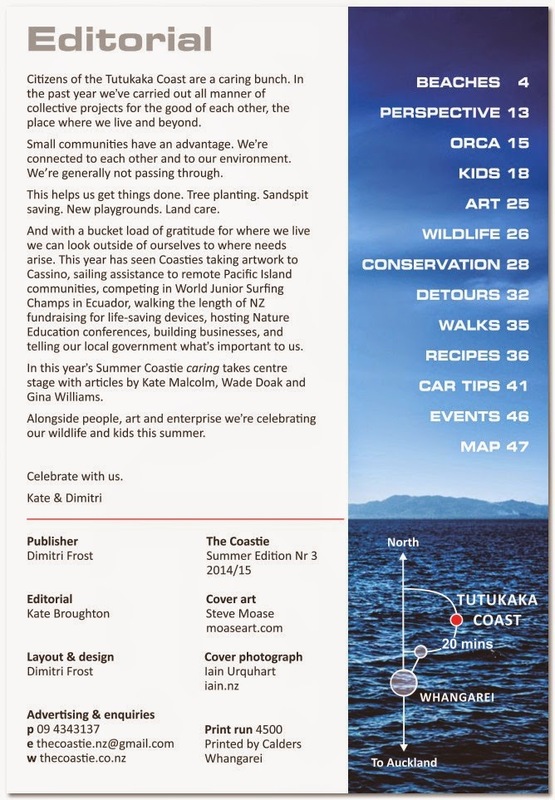 The Coastie Summer Edition 2014/15 - out now! With this year's Coastie Summer Edition we're again celebrating local people, art and enterprise. Copies are available free from most business venues along the Tutukaka Coast as well as in Whangarei City, through both i-sites, Reva's at the Town Basin, Himalayan Trading Post, Fat Camel Cafe, Caffeine, Bob Cafe, Tuatara Design Store, just to name a few. We hope you enjoy reading the publication as much as we've enjoyed putting it all together. Below is the editorial foreword as it is printed, please click on the image to enlarge.